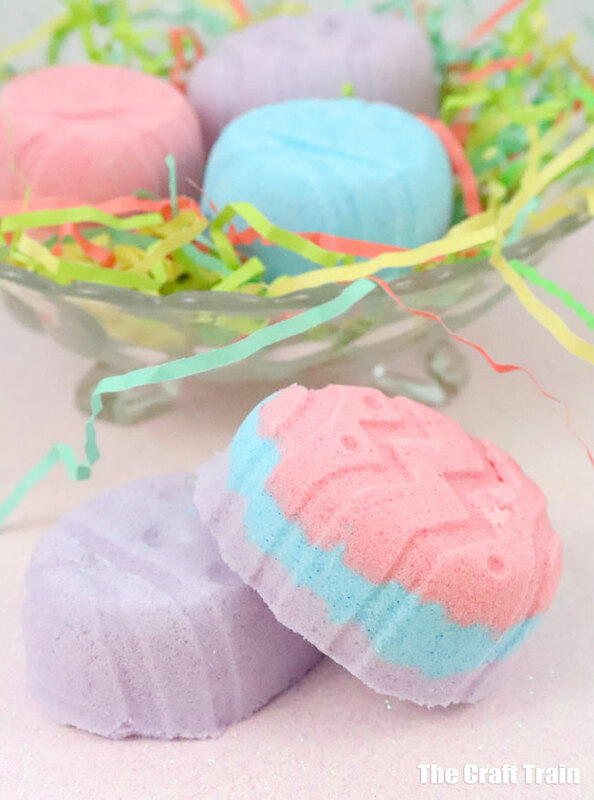 Have you ever made DIY bath bombs? 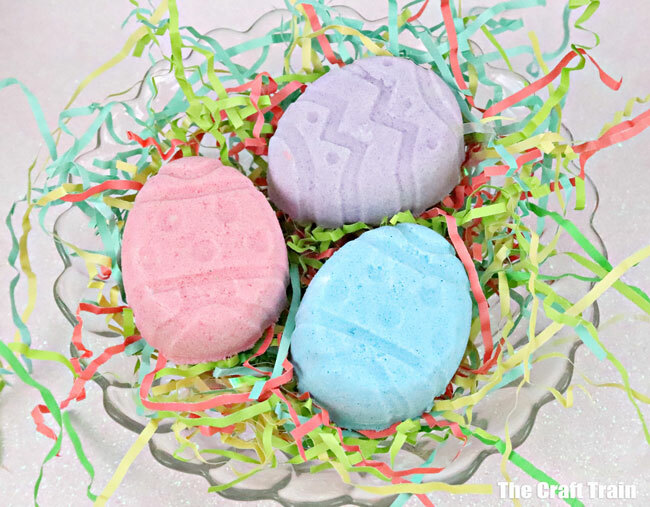 These “Easter surprise” bath bombs with layered pastel colours have been created by our bath bomb expert Kelly Hutchinson. 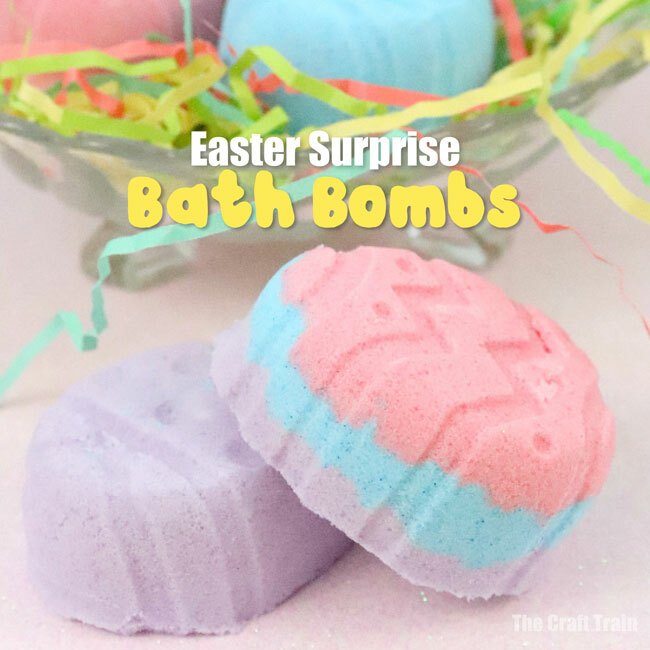 They are eggstra special because once the bath bomb fizzes away, leaving gorgeous scented bath water, they have a surprise inside to delight kids. Hidden in amongst the coloured layers is a bunny or chick figurine which “hatches” from it’s egg – so cute. 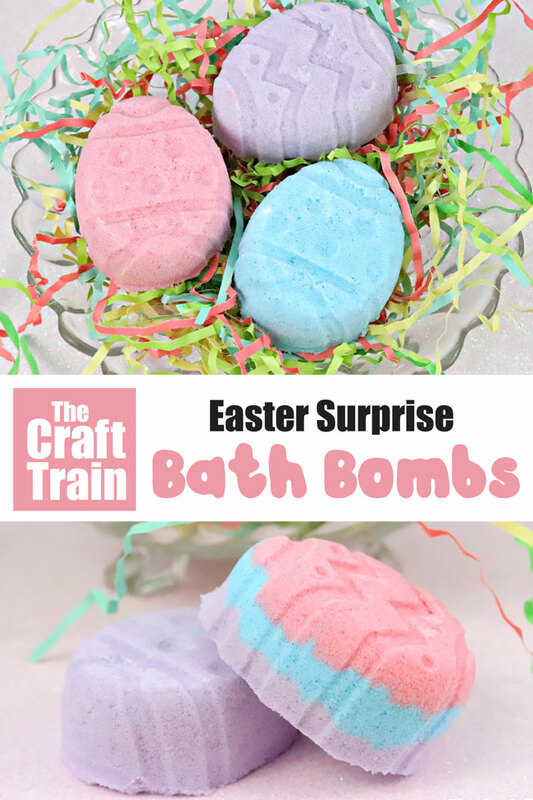 These DIY bath bombs would make a lovely hand-made Easter gift that is perfect for when you need to give a non-candy or sugar free surprise. You could make them for kids, or kids could also help to make them. Steps 1-4: In a large mixing bowl, add the baking soda, citric acid, and cornstarch. Whisk dry ingredients together. Steps 5: Add the coconut oil. This binds all the ingredients together, so you bath bombs don’t crumble when you touch them! Step 6: Add the polysorbate 80. This helps the coconut oil disperse more evenly in your bath water, makes the bath bombs bubbly and prevents the mica from sticking to the side of the tub. Steps 7-8: Add the essential oils. Step 9: Mix the ingredients together. I use my hands to break down any lumps and make sure everything is really mixed in there. The mixture is perfect when it holds together when you press it into your hands and feels like wet sand. Step 10: Separate mixture into three bowls. Steps 11-14: Add 1 tablespoon of the purple mica into one, 1 tablespoon of the pink into the second bowl and 1 tablespoon of the blue mica into the remaining bowl. Mix colors into mixture thoroughly. Add a bit more color if the mixture is too light. Continue to add a bit and mix until you get the color you want. Steps 15-17: Add your first color into a cavity of the mold, filling half way. Add your toy and fill the cavity to the top. Press down firmly, but not so hard you make cracks in the mixture. Step 18: Allow to dry a minimum of 24 hours. If your climate is wet or cold, allow an additional 24 hours. My rule of thumb is that when it is hard to the touch, they are ready for the tub! 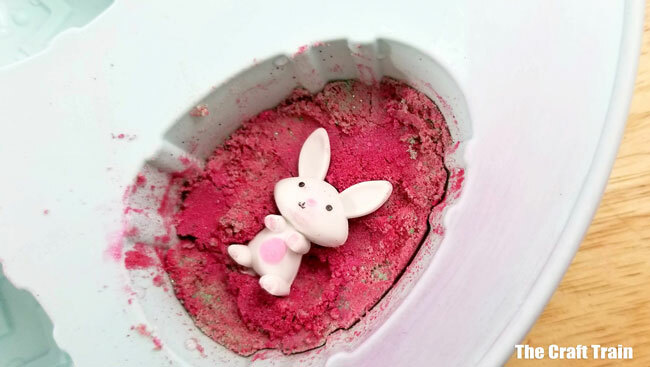 To remove, gently press the mold from the bottom, until you see the bath bomb coming up from the mold. When it is about half way out, gently pull out. Store in an airtight container until ready for use. So pretty and fun, don’t you think? Hi! My name is Kelly. 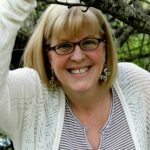 I am a Southern mom, autism advocate, camera bug, foodie & crafter.